02. Stay dry… as best you can! And now, a public service announcement: all gadgets and electronic devices (smartphone, tablet, etc.) HATE water! If you really need to bring them along with you, we recommend that you shield them from water as best you can, like with a waterproof bag. The same goes for extra clothes, food, sleeping bag, etc. Note: If you choose one of our all-inclusive packages, we will provide you with a waterproof barrel to store all your belongings. If you choose to venture on your own, you can still rent barrels for $5 each. 03. Respect the environment, just to be safe! Maintaining campgrounds clean will not only help preserve the environment, it will also keep you from attracting unwanted visitors (bears, racoons, etc.). 04. Canoeing requires water, and so do you! Rivers may be gorgeous, but their water isn’t always safe to drink. Plan ahead and bring a sufficient supply of water or a filtration system (filters, chemical or UV treatment, boiling supplies, etc.) to clean river water before drinking it. Note: If you choose one of our all-inclusive packages, your guide will supply you with drinking water, so you can just sit back, relax, and enjoy! 05. Planning ahead will leave you clear-headed! Planning ahead will help you minimise the risks of a stressful adventure. Take the time to map out your upcoming trip: river entry and exit points, campground locations (see map), shuttle schedules (and reservations!). Note: If you choose one of our all-inclusive packages, your guide will take care of all the details… but you still have to paddle. 06. Nature has much to offer… except cell reception! Connecting to nature is easy, but you might have trouble connecting to your network since cell reception is pretty much non-existent on the river. It’s supposed to be a vacation, after all! If you know you will need to communicate mid-journey, for health reasons or otherwise, plan ahead and bring a satellite communications system (phone or GPS). Note: If you choose one of our all-inclusive packages, your guide will have everything you need with him, so you can keep getting your zen on. According to the Red Cross, there are about 160 boating-related deaths each year, and in 90% of these cases, the victims were not wearing their lifejackets, or wearing them improperly. To avoid tragedy, be sure to wear your personal floatation device (PFD) at all times! Note: If you choose one of our all-inclusive packages, your guide will wear his/her lifejacket, and won’t give you the green light until you put on yours! Honesty bomb: you will most probably get wet at one point or another during your boating adventure. The important thing is to wear clothes that are comfortable and versatile. Be sure to give extra thought to your footwear, because you will surely have the occasion to get your feet wet on more than one occasion. Avoid wearing flip-flops, sandals, crocs… or high heels! According to our team, neoprene water shoes are your best choice on your journey, and we do have a few pairs to lend – no charge – at our front desk. First come, first serve! 09. Make reservations, because we hate saying no! Not to brag, but Arpin Canoe Restigouche is where it’s at! 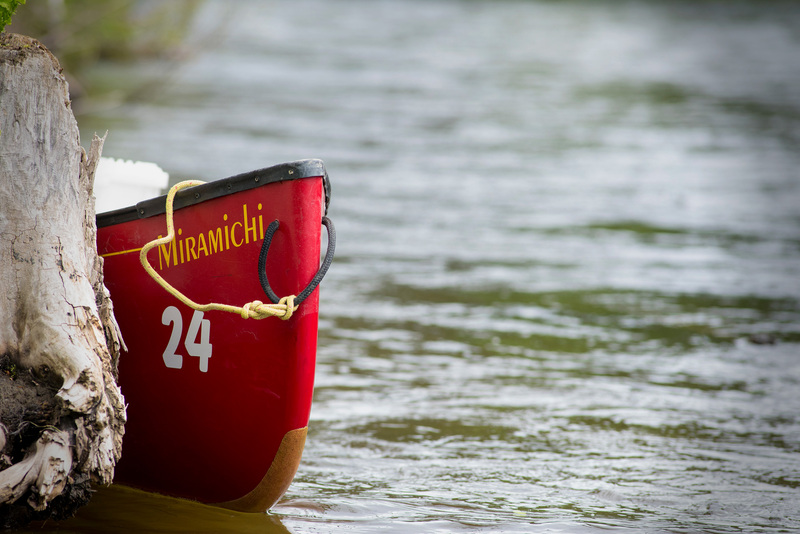 If you’re planning a canoe trip, we highly recommend you to make reservations, especially during high season (June 15th to August 15th). Call us toll-free at 1-877-259-4440 or visit the “Packages and prices” section on our website. And remember: the sooner, the better! While your navigating, be sure to take in all that your surroundings have to offer. Breathe in the intoxicating smells that each season scatters around, feast your eyes on the millennial sites that appear before you, listen to the sounds of blowing winds and running waters. Savour each and every blissful moment away from your daily routine, and let it flow through you.